I was so pleased to discover that the topic for #ELTchat this Wednesday was related to Earth Day: Going Paper-Light. Such clever mods we have! One thing that surprised me from the chat was that many teachers still seemed to have a soft spot for paper-based lessons and learning. This contradicted what we heard at the TESOL convention in Toronto, where many teachers told us they wanted to be able to share our materials with their students on a digital platform (coming later this year) to avoid so much photocopying. With more and more teachers (like #ELTchatter @juliacphang) teaching online and more and more students bringing mobile devices to class, we know that it is possible to teach English in an entirely paperless environment. 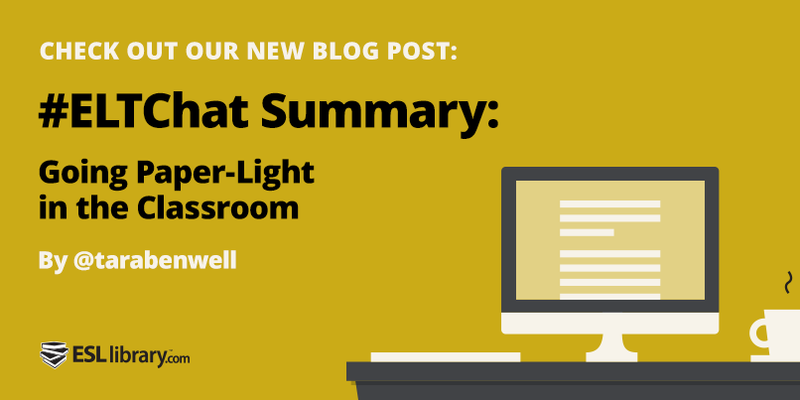 But since this week’s chat was about teaching in a “paper-light” classroom rather than a “paperless” environment, let’s review some of the ideas and concerns related to reducing paper in the classroom. Here are some of the best ideas and resources #ELTchatters shared for reducing paper in the classroom. @tattoodaisy encourages her students to take pics of her whiteboard. A number of chatters recommend file sharing and note-taking tools, such as Evernote, Google Docs, Doceri, WhatsApp, and Quizlet. @bealer81 recommends using a social network with your class. Use it for blogging, discussion forums, chatting, etc. @Marisa_C recommends Facebook groups. @MarjorieRosenbe says she always laminates stuff that she reuses, which cuts down on photocopying. @HadaLitim recommends taking the class outside. @muranava says he has cut down on photocopying by dictating. @tattoodaisy reminds chatters that it is possible to do a whole lesson based on one reading. @SueAnnan says she gives students notebooks to record vocab in, which cuts down on excess word lists and handouts. A number of chatters recommend making and keeping reusable flashcards. @IsmarAlabedi makes lessons in Powerpoint and shares. 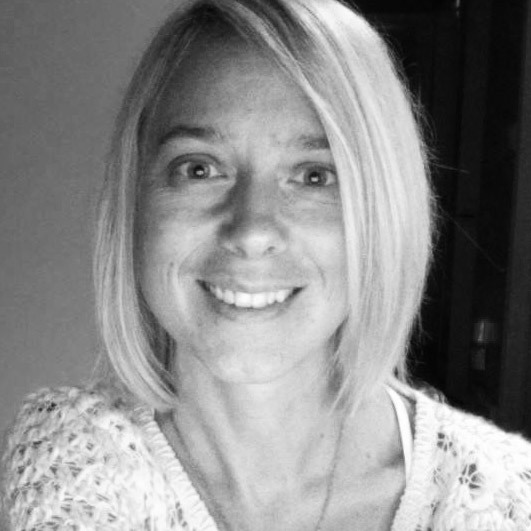 @kaurgibbons challenges the teachers at her school to not photocopy for one lesson per week. @tattoodaisy reminds chatters that using listening as a text cuts down on paper. @HadaLitim added that flipping the classroom also helps. I chimed in that many teachers use our podcasts to do just that. @muranava points out that teachers should take time to photocopy on both sides of the paper. @kaurgibbons suggests bringing in authentic texts that already exist (newspapers, brochures, etc.). @angelos_bollas recommends using audio feedback (e.g., Voicethread). @joannacre says some schools cut down on paper waste by giving teachers a photocopy card. A few #ELTChatters pointed out some concerns about going paper-light. There’s an Earth Day challenge for you, teachers! #ELTChat is a weekly Twitter chat about issues related to English language teaching. It is held every Wednesday on Twitter at 12 GMT and 9pm GMT. To join in, simply watch and use the hashtag #ELTchat. Here are a few more tips on participating in educational chats on Twitter. And, if it’s your first #ELTchat, like it was today for @stella_maris05, be sure to mention it to the mods so that they can help you get some like-minded followers.